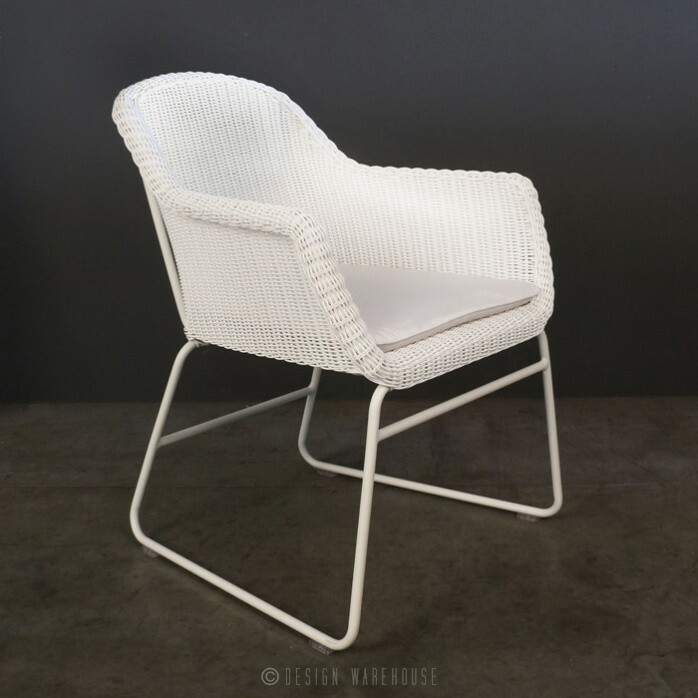 The Harbour Wicker Dining Chair in white was designed with the classic look of traditional wicker chairs in mind, but with an added modern vibe that adds a refreshing new look. 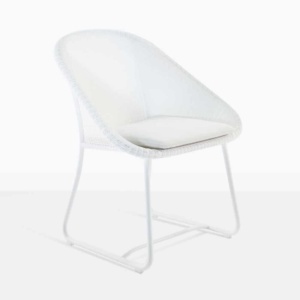 You still get the charming look along with a comfortable lounge seat, but with the added sleek design and strong materials. 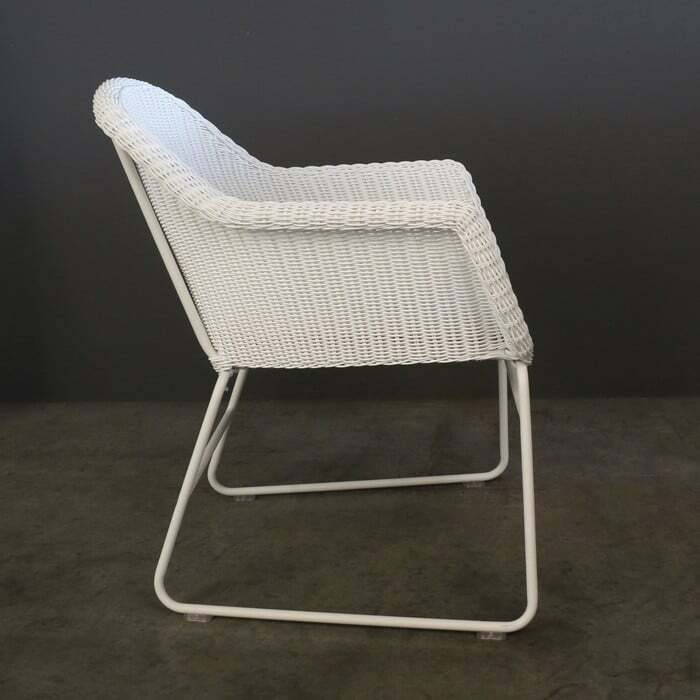 The Harbour wicker dining chair will pair beautifully with many different types of dining tables including a-grade teak, reclaimed teak and concrete. 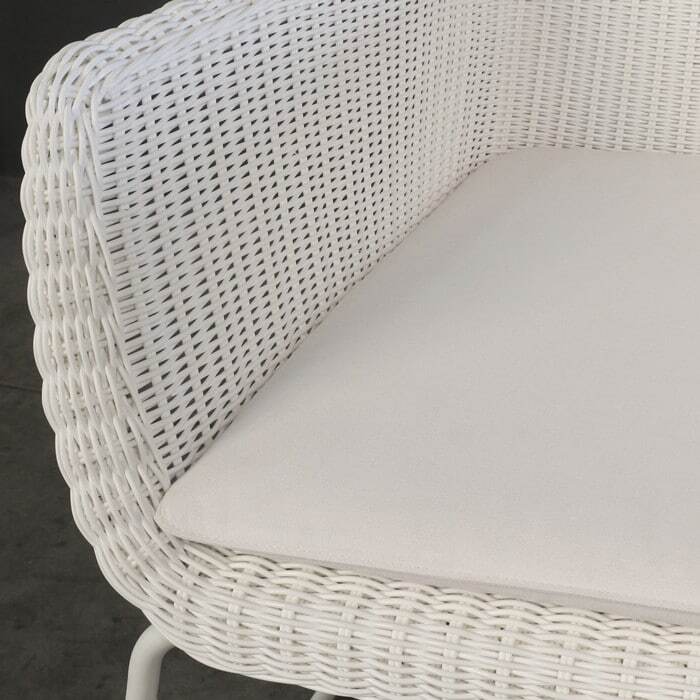 The materials and build are also much more durable than traditional wicker chairs. 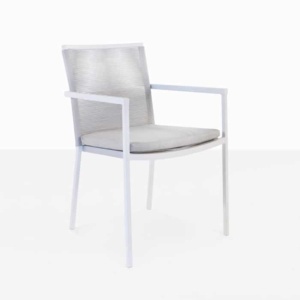 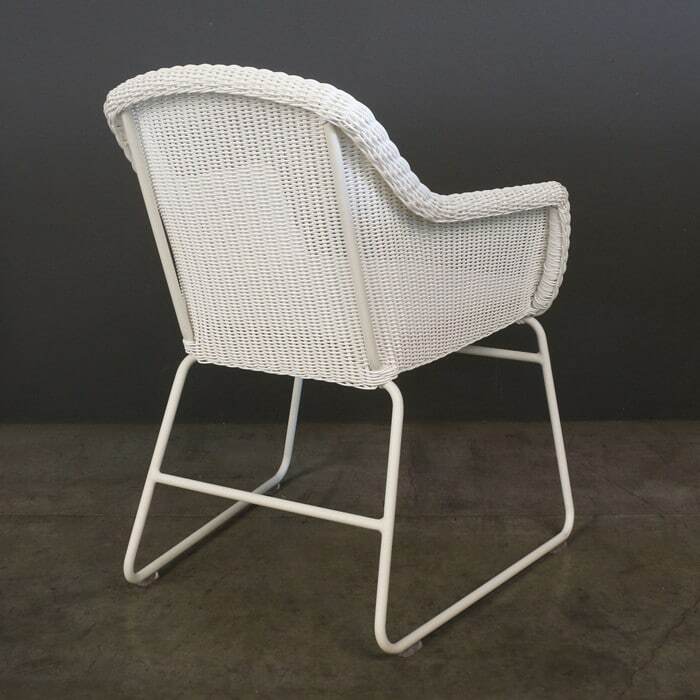 The Harbour chair is made with a powder-coated aluminum frame and woven synthetic fibers that look and feel fantastic. 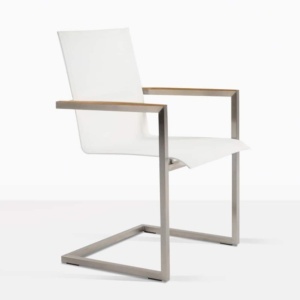 Call us today to learn more about this dining chair and for suggestions on which tables it goes with.